Embedded systems designers are under pressure to reduce the cost and size of electronics while improving time-to-market and overall system reliability. Today, many designers achieve these goals by using off-the-shelf x86 single board computers (SBCs) with I/O modules stacked above or below to implement the special-purpose I/O that makes the embedded system fit the application requirements. 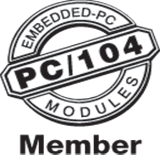 An alternative to this traditional approach is to use a Computer-on-Module (COM)-based SBC.